So, as the dust settles on an incredibly disappointing 4A quarterfinal round for southern Utah teams, I’m going to refrain from making excuses for Dixie, Pine View and Desert Hills losing. But I will give some reasons, self-inflicted or otherwise, as to why they were bounced from the state 4A playoffs. Let’s start with Dixie. The Flyers ran into a very good defensive squad in the Mountain Crest Mustangs, a team that allows just 15.2 points per game. And then, Dixie ran into the injury bug. A year ago, the Flyers had to try and make a playoff run without quarterback Jacob Barben, who broke his foot in the last regular season game. The result was a semifinal loss to Pine View up at SUU’s Eccles Coliseum. This year, star running back/receiver Hobbs Nyberg, responsible for 25 of the Flyers’ 56 offensive touchdowns this season (45 percent), was injured in the first quarter of the game against Mt. Crest. 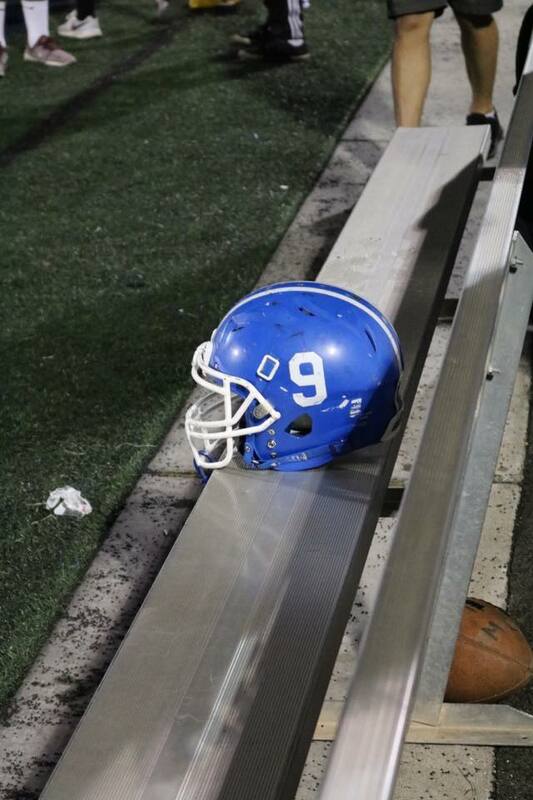 Dixie trailed 6-0 at the time and the speedy Nyberg had played in 18 plays. On his 19th, a handoff to the left side, Nyberg fumbled the ball. Whether the fumble caused the injury or the injury caused the fumble, only Nyberg knows. But at some point during the play, his arm was crushed. Though it has turned out to be a severe dislocation, and not a break like many originally thought, Nyberg spent the rest of the game on the bench with an air cast on his arm. Whether the absence of Nyberg caused Dixie to lose the game can be debated, but the next blow to the team certainly will make Flyers fans wonder “What if?” for a long time. Barben, the ultra-talented signal-caller, took a vicious hit in the second quarter. The result was a broken collar bone on the right side. Without Nyberg, Barben knew his team would stand zero chance if he was out, too. So Barben stayed out there, trying to lead his team into the semifinals. The final result of all the tumult was this: Dixie played well, and got great contributions from the defense and most of the offense. But without Nyberg, it came down to fourth-and-5 on the final drive. Barben eluded the rush and tried to run for the first down. A big hit by Mustang safety Jace Dart stopped Barben 2 yards shy of the first down, and Mt. Crest held on for the win. As for Pine View, which travelled all the way up to Smithfield (distance: 390 miles), it came down to stopping one guy – and the Panthers didn’t do it. Mason Falslev, whose brother played recently for BYU, was a one-man wrecking crew for the Sky View Bobcats. Falslev ended up with 175 yards receiving in the game, 57 percent of Sky View’s 307 total yards. He was especially great in the first half, scoring two TDs and continually beating the Panthers over the top on deep passes. His prowess helped the Bobcats forge a 21-0 lead. But Pine View, which had just one first down before halftime, fought back in the game. Led by Dallin Brown and Jacob Mpungi, the Panthers closed to within 21-14 in the third quarter and then 27-21 halfway through the fourth quarter. All Pine View needed was one big defensive stop to get the ball back with a chance to take the lead. But Sky View quarterback Jackson Siddoway is no dummy. Facing a big third down in his own territory, Siddoway did what any smart QB should do – he threw a deep ball for Falslev. 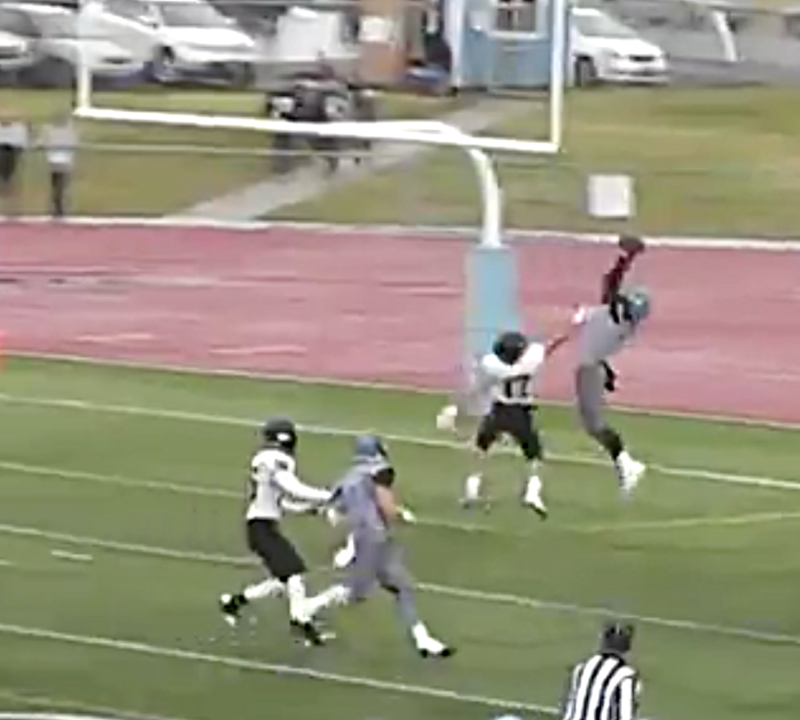 Just a sophomore, but already a man among boys, Falslev located the high-arching pass and ripped it away from Mpungi, who was covering on the play. The 49-yard pass set up the clinching touchdown and the Bobcats came away with a 35-21 quarterfinal win. 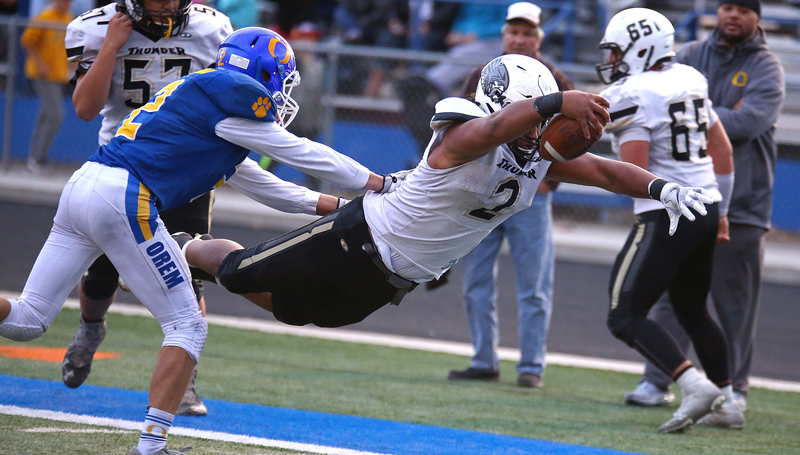 Up in Orem, Desert Hills had similar issues with Tigers receiver Puka Nacua. But the real story of the game was not Nacua, it was the Thunder’s frustrating inability to finish drives. Desert Hills opened the game with a big kick return by Gage Baird. But the senior couldn’t quite get to the end zone and the Thunder had to settle for a field goal. Those three points would be all Desert Hills would manage for the next 36 minutes. Five times the Thunder entered the red zone against Orem. The results are very telling: Trip 1 – field goal; Trip 2 – missed field goal; Trip 3 – turnover on downs; Trip 4 – fumble; Trip 5 – interception. Desert Hills was every bit as good as Orem – the stats bear that out (total offense: DH 392, Orem 436). Who knows what would have happened the rest of the way, but if Desert Hills makes both field goals and scores touchdowns on the other three drives, it would have been a 34-27 game at the end of the third quarter. And Desert Hills outscored Orem 14-3 in the fourth. But those are “What ifs,” and the truth of the matter is Desert Hills gave the ball away too often to win. The bottom line (or Big Picture) is this for Region 9: Friday’s quarterfinal games went about as bad as southern Utah football fans can imagine. Sadly, all three southern Utah teams (actually four, if we count Cedar last week vs. Stansbury) lost to teams that they could have just as easily beaten. 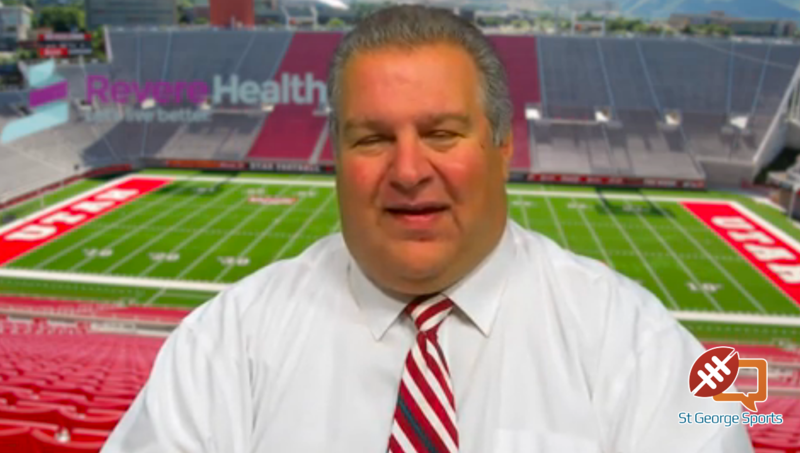 But, perhaps saddest of all, some great players wrap up their high school careers without playing on the Rice-Eccles Stadium turf. 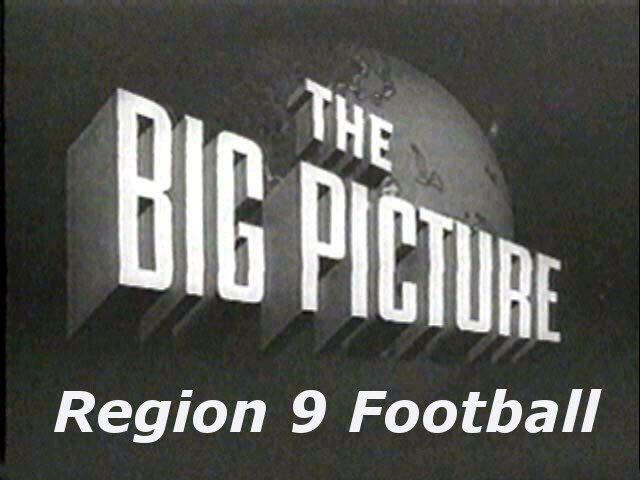 Goodbye Region 9 football, you died a sad and premature death. Mt. Crest (11-1) vs. Stansbury (8-3), 6 p.m.
Sky View (11-0) vs. Orem (10-2), 6 p.m.